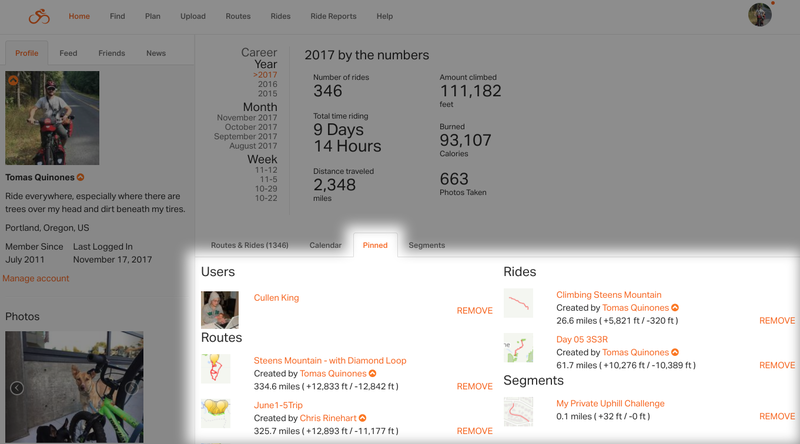 There are so many routes, rides, rider profiles, and gear on our site it’s no doubt you’ll stumble upon something you don’t want to forget. We know the feeling, and we’re here to help you remember! 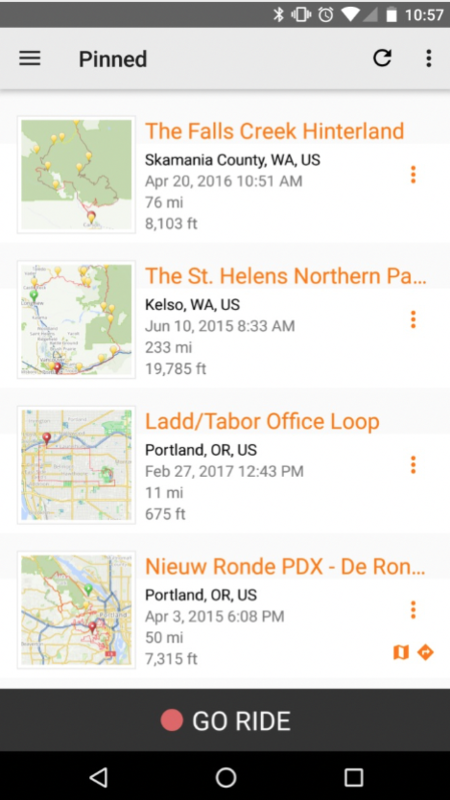 Just pin whatever you want to keep track of and you’ll easily be able to locate it later. Check out more on Pinning, Pinning on mobile, and Sharing. You can also pin another user. Once you have pinned an item, you can access it via the “Pinned” tab on your profile page. 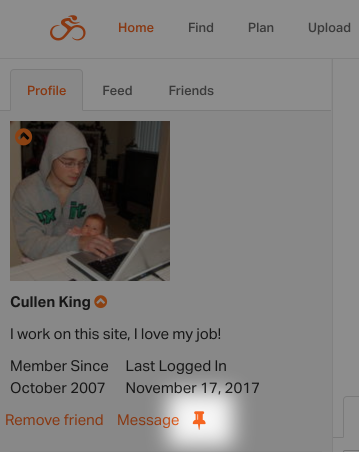 To remove a pinned item, simply open the “Pinned” tab on your profile page, and click REMOVE next to the item. iPhone: Tap the gear icon then tap PIN THIS. Android: Tap the PIN icon at the top. 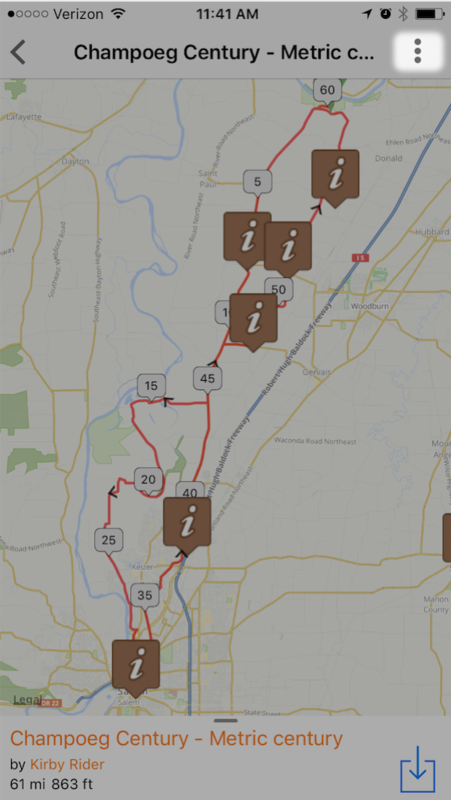 You can view and navigate Pinned routes from our iPhone and Android apps. Tap “pinned” to see all items you have pinned to your profile. 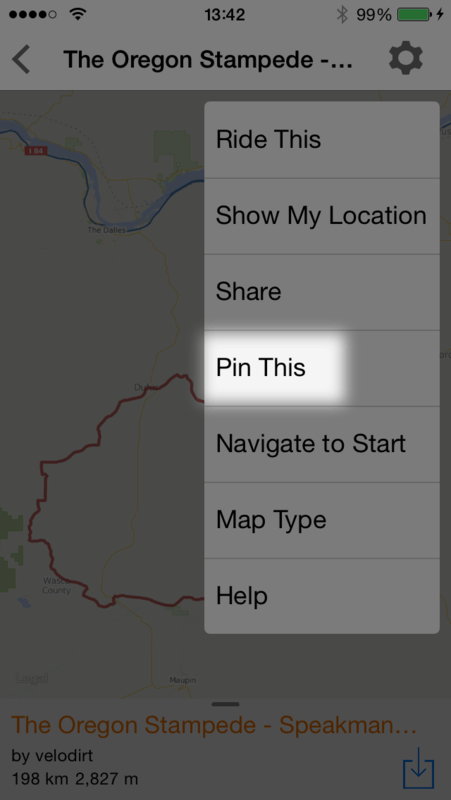 To remove a pinned route from the app, tap on the route you want to remove to open it. 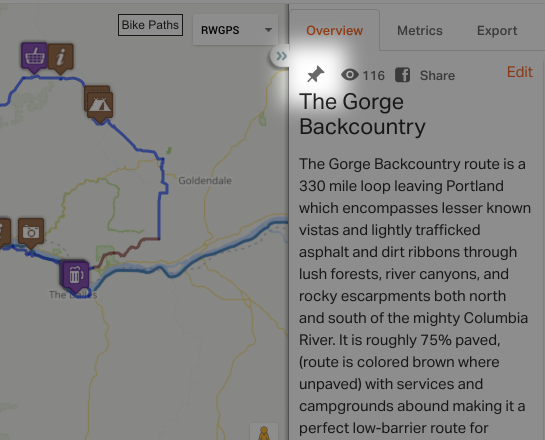 Next, tap the icon in the top right of the route map to bring up your route options. 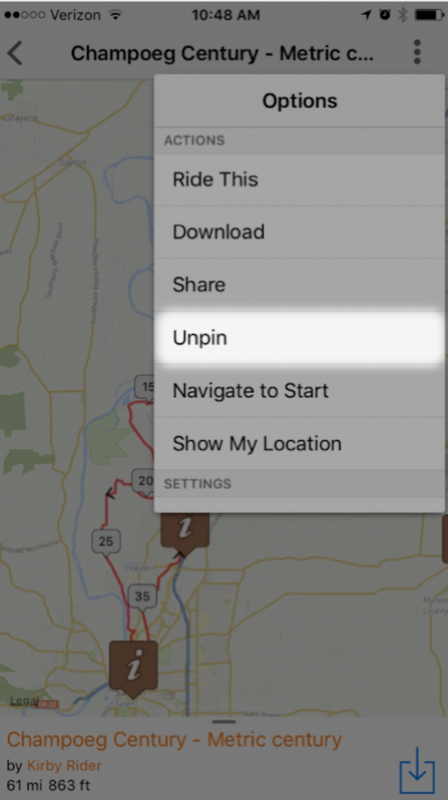 Tap “unpin” to remove the route from your pinned list. 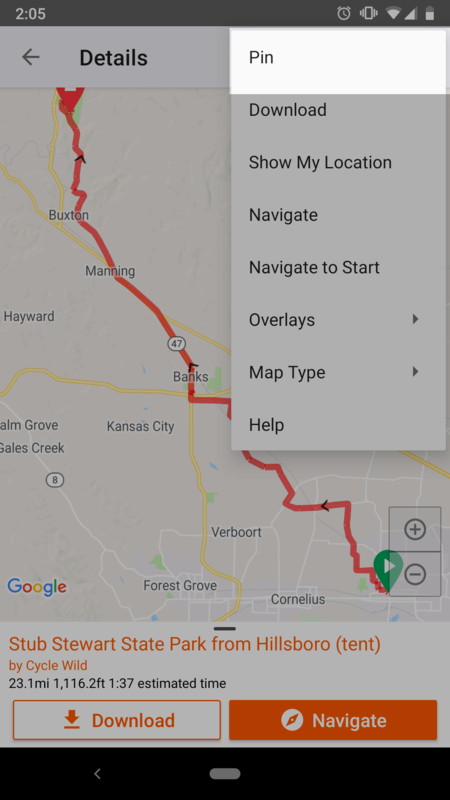 Did you just plan a really epic tour, finish a great ride, or you just want to share the PR you set on a training ride? 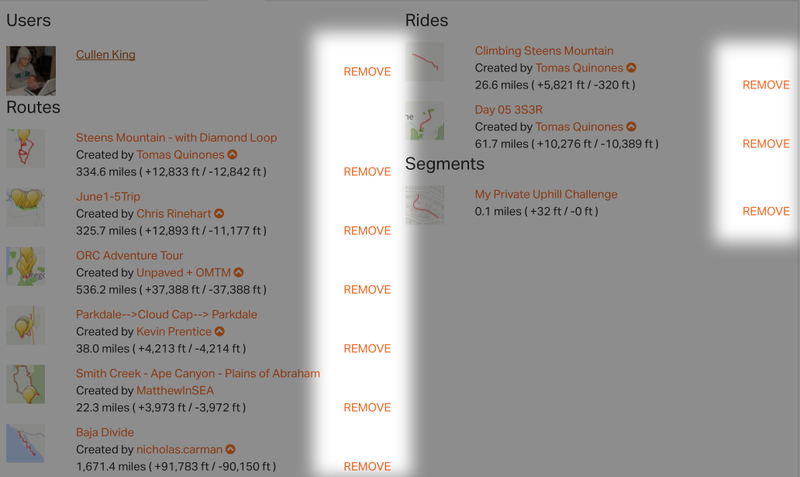 Let’s explore the different ways available to share rides, routes, gear, and more. 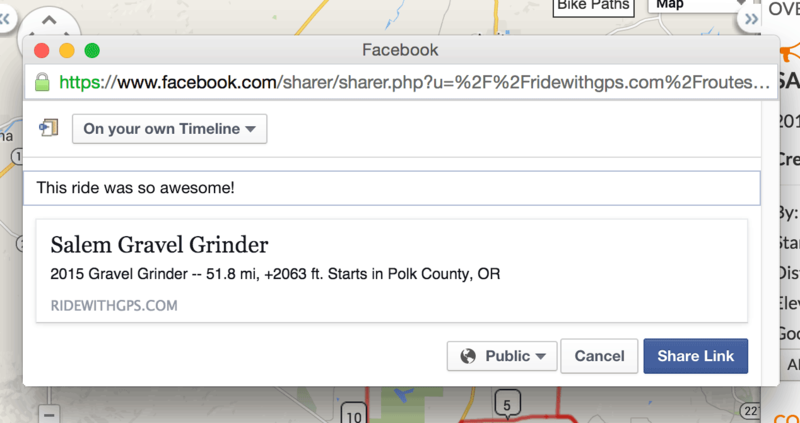 Facebook: By default, what you share shows everyone in your Facebook news feed, but you can click the drop down and share with select groups or individuals. 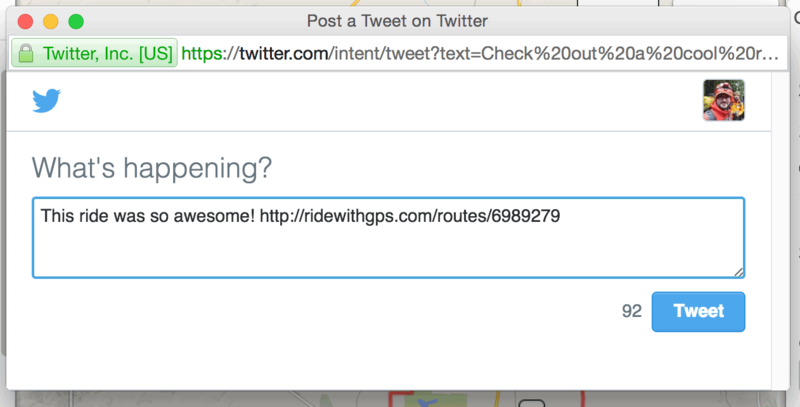 Twitter: Use Twitter to share your ride. 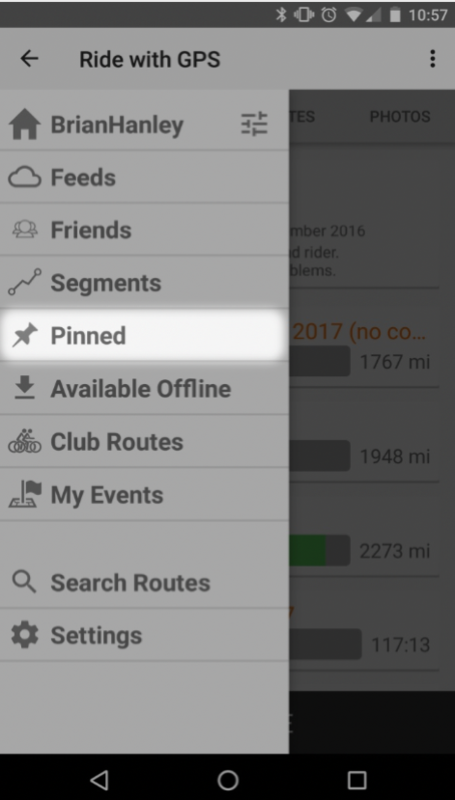 Include the handles of anyone else on the ride or add hashtags. E-mail: We’ll send an e-mail with this route to the address you provide. Send it to multiple addresses by separating them with a comma. Link: Send the URL to anyone by pasting it into your preferred e-mail editor, another social network, website, or blog, etc.. 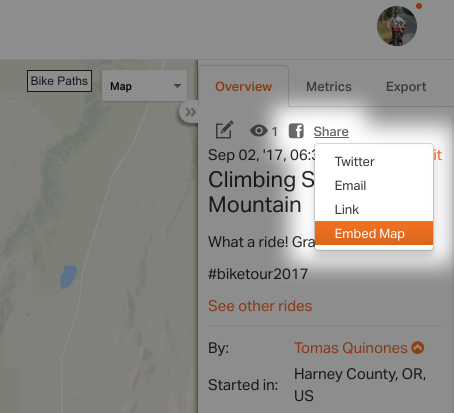 Check out Embed a Map on Your Website for details. 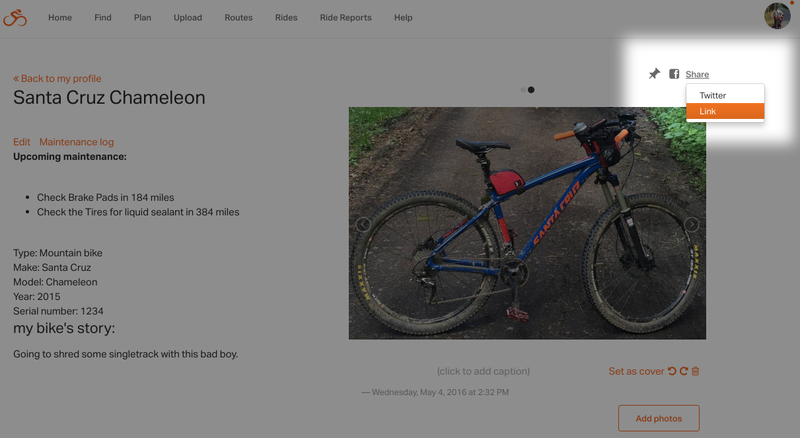 Here’s an example of embedding in WordPress. Your site must support iFrames for this embed to work. If you are not signed into Facebook or Twitter, you will be prompted for your e-mail and password for those sites. If you are using WordPress.com as your host, the embed option may not work on your blog. See WordPress Support for more details.